What Is Zochrot Really Remembering? On March 21-22, the Israeli NGO Zochrot held its "Third International Conference on the Return of Palestinian Refugees" in Tel Aviv. The two-day event featured an all-star team of anti-Israeli Israeli speakers from NGOs and academia, all to promote the Palestinian "right of return." Zochrot's goal is "rais[ing] public awareness of the Palestinian Nakba" and "recognizing and materializing the right of return," stressing that "the rights of the refugees to return must be accepted." Nothing brings together Israel haters, including Americans, like the Palestinian "right of return." The name Zochrot connotes remembrance, but echoes the Jewish phrase Yizkor, a prayer said to honor the memory of dead. The point is to blame Israel for the Original Sin of its own creation and ostensibly sole responsibility for the Palestinian refugees. This name signals that these Israelis repent by not forgetting this invented historical narrative. The so-called 'right of return' has become the largest obstacle to achieving Israel-Palestinian peace. The aim of the group is peace, but the so-called "right of return" has become the largest obstacle to actually achieving peace between Israel and the Palestinians. The Palestinian obsession with remaining refugees — and dependents of the international community — at all costs has become the crutch to avoid any actual state-building. The "right of return" is allegedly found in United Nations General Assembly Resolution 194 (III) of December 1948, but the text reveals this "right" to be conditional: "refugees wishing to return to their homes and live at peace with their neighbors should be permitted to do so at the earliest practicable date, and that compensation should be paid for the property of those choosing not to return." The resolution also calls for the United Nations "to facilitate the repatriation, resettlement and economic and social rehabilitation of the refugees and the payment of compensation." At the time, all the Arab States in the UN (Egypt, Syria, Lebanon, Iraq, Saudi Arabia, and Yemen) voted against the resolution, since it implicitly accepted the partition of Mandatory Palestine that recognized the Jewish right to a state. But the actual text of the resolution has been irrelevant since the beginning; Palestinian identity has crystallized around the dream of an unconditional "right of return," as has Palestinian propaganda to the world. 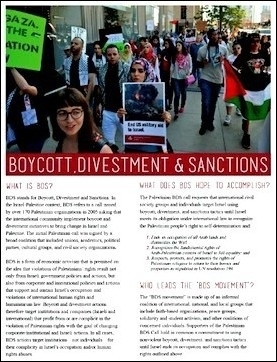 Among the lead sponsors of the Zochrot conference is the American Friends Service Committee (AFSC), the Quaker group that has supported BDS campaigns on college campuses and churches with its partner, Jewish Voice for Peace (JVP). The Quakers also work with NGOs that encourage Israelis to refuse to serve in the IDF. Of course, it is the IDF that actually administered relief from 1967 to 1993 and today still coordinates with NGOs that want to assist Palestinians. The AFSC has long experience in the Middle East and should know better. The AFSC spearheaded religious diplomacy about the fate of Jerusalem, which was besieged and divided during the war of 1948. It also delivered aid to Palestinians in Gaza in 1949-1950. But it withdrew after seeing how Palestinians were already becoming dependent on foreign aid, at the expense of their own initiative. Since 1967, however, the AFSC has become a pointed adversary of Israel, accusing it of responsibility for Palestinian refugees that the AFSC itself refused to support any further after 1950, flirting with anti-Semitism. Today it orchestrates Israel boycotts across the US, all in the name of a Palestinian state. By working with groups like Zochrot, the AFSC seeks to turn the clock back even further by demanding Israel effectively be dissolved. 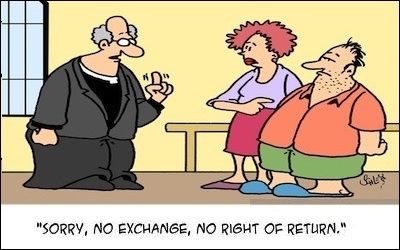 Palestinians and their sympathizers in North America and Europe view relief and eventual repatriation (the "right of return") as absolute rights. And the Arab states, with the exception of Jordan, remain steadfast in their refusal to do anything except warehouse Palestinians in permanent refugee camps. If the AFSC really wants to remember, it should distant itself from NGOs like Zochrot and revisit the lessons of its own mission in Gaza in 1949. The AFSC might remind itself that it left Gaza because it could not bring about a true resolution so long as the Arab-Palestinian population refused to become anything except permanent refugees. Palestinian demands for a "right of return" are no different than those of 1949, when, as a Palestinian protest sign that greeted an American mission in 1948 demanded – "1. Send us back home. 2. Compensate us. 3. Maintain us until we are refreshed." The AFSC has the sense to reject that mentality then. It should do so now.